When The New Paper New Face 2017 finalist Naomi Huth won Her World magazine's inaugural modelling competition Project M last year, it inspired her good friend and fellow 2017 finalist Juhi Nar Singh to follow in her footsteps. On Friday last week, the 21-year-old was one of 10 female contestants of Project M 2019 who strutted the runway at the Bugis Junction X Bugis+ Spring/Summer 2019 fashion showcase as part of the contest's preliminary round. According to Juhi, New Face gave her the modelling opportunities with brands such as Pras The Bandit, Adrianna Yariqa and Pure The Label. It was last year, when she watched Naomi's victory, that she decided she was ready to compete again. Juhi told The New Paper: "There is more pressure for me to win as a fellow New Face finalist so that Naomi's legacy can carry on. She tells me I have grown so much since New Face and that if I continue what I am doing, she is sure I will be in the top three." "Something that has always helped me in modelling, whether it is New Face or Project M, is being myself," she said. "I am passionate about what I do, that is why I pursue it. You should not just be in this competition for exposure, you should be here because you want to win. And my biggest dream right now is to win Project M."
The hospitality and tourism student plans on taking a gap year to pursue modelling full time after she graduates from Temasek Polytechnic in May. Juhi is not the only New Face alumna making a splash in the local modelling scene this month. 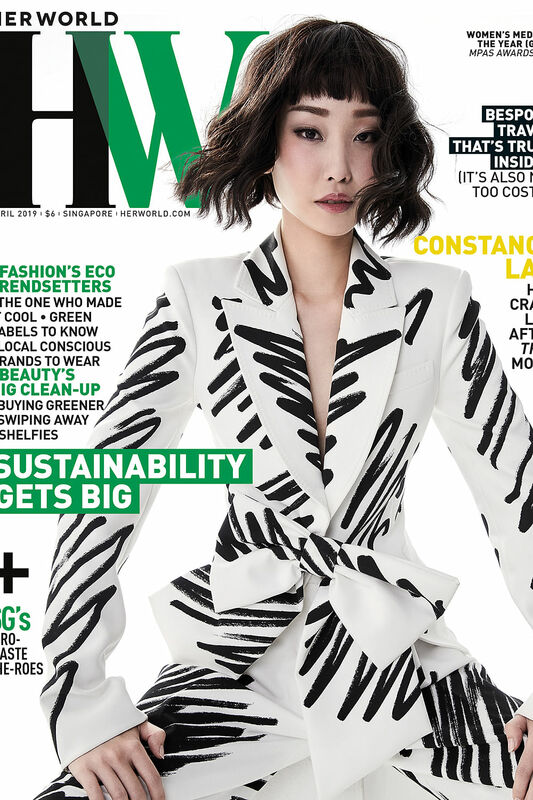 Constance Lau, a New Face 2008 finalist who went on to star in the hit Hollywood rom-com Crazy Rich Asians, is the April cover girl for Her World. The 28-year-old Fly Entertainment artist will next join the cast of Channel 5 drama Lion Mums 3 playing a no-nonsense school principal. Actress-model Jasmine Sim, New Face 2014's first runner-up, has since appeared in Channel 8 dramas such as Dream Coder, The Lead, When Duty Calls, Doppelganger and Till We Meet Again in supporting roles. The 26-year-old is featured in a solo spread in Icon Singapore magazine's April issue. She also has four Mediacorp Chinese productions - My One In A Million, If Only, Walk With Me and Limited Edition - under her belt. 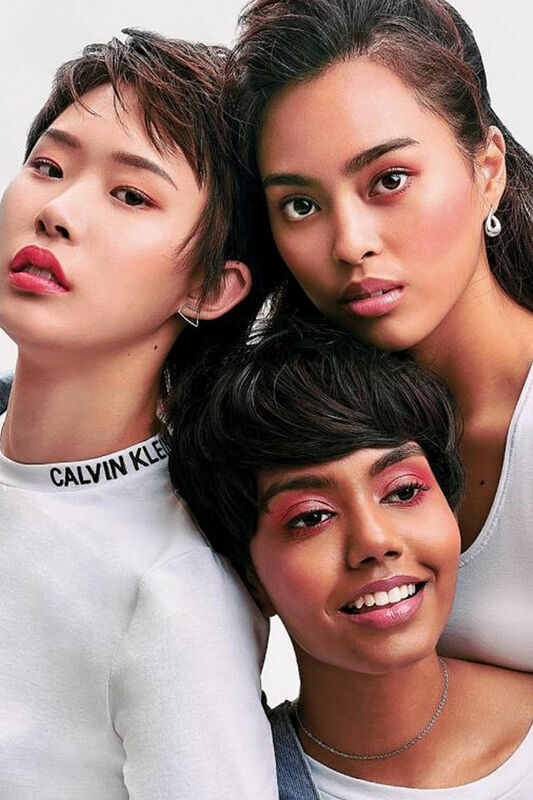 Lastly, Mohanaprabha from 2017 and Yuolmae Ang and Jane Fernandez from last year's batch are photographed together for a Pantone make-up article in Cleo Singapore magazine's April edition (www.cleo.com.sg). Sharing a New Face history and their first Cleo spread, the women had a blast immersing themselves in the shoot. Mohanaprabha, 24, told TNP: "It is not common to see an Indian girl with short hair like me. I have always preached for more diversity, and it feels good to be part of a concept by Cleo that is inclusive of a range of skin tones." Now represented by Upfront Models, the Miss Universe Singapore 2018 finalist is due to graduate with a biomedical science degree from PSB Academy in September and dreams of conquering the runway in every fashion week around the world. Jane, 19, is currently in the middle of her gap year and pursuing modelling full time under NOW Model Management and hopes to be assigned an overseas placement. Yuolmae, a 21-year-old undergrad at Nanyang Technological University's School of Art, Design and Media, added: "I like to challenge myself by taking on as much work as possible, and when it starts to get difficult, I just try to enjoy the process." This story first appeared on The New Paper.